What could be a bit iffy in the wilds of snowy Nepal, is perfect when enjoyed in the wilds of your back garden. Simmer lemon juice, sugar, corn syrup (or golden syrup) and water over medium heat and whisk until well combined. Remove from heat and add yellow food colouring until the syrup is a lemon colour. Allow the syrup to cool completely. Using a funnel pour the syrup in to the squeezy type bottle. Use an ice crusher to smash up the ice cubes. Pour lemon syrup into a large bowl of the shaved ice and mix well with a spatula, (rubber is best as it won't stain yellow). 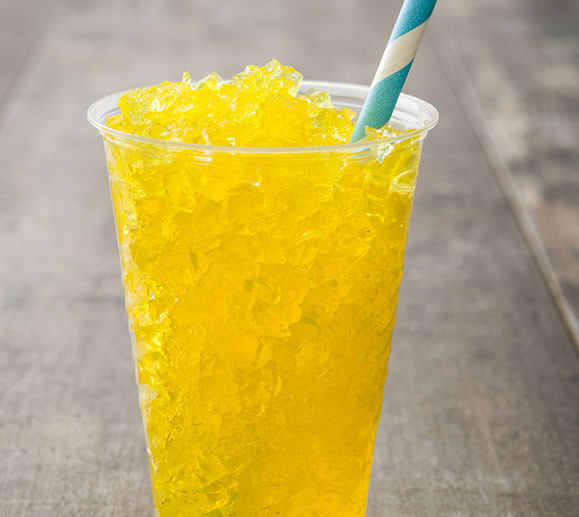 Scoop the lemon flavoured ice into snow cone cups and then drizzle a little more syrup over the tops. Share and enjoy, but mind the brain freeze, you have been warned.